Better Productivity: 1,350 Watts of total cleaning power optimally allocated to driving the brush and vacuum independently. The result is a one-pass cleaning capability which saves up to 20% in cleaning time. Carefree Operation: The brush stops turning when the operator is detail cleaning with the wand and tools. CarpetMaster does not weigh you down! 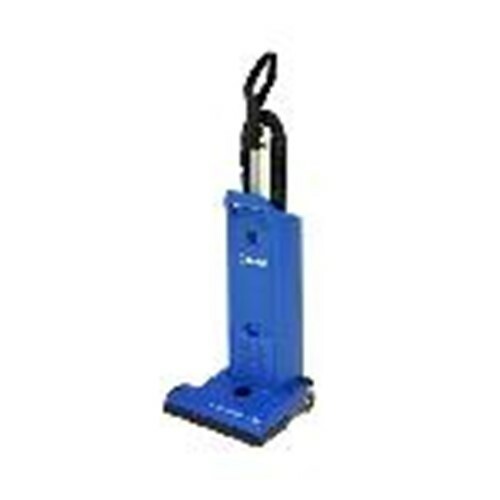 Unlike most dual-motor vacuums, the CarpetMater has it's vacuum motor located at the base of the machine. The result is a lighter handle weight. That means less fatigue for the operator. Simplicity: Simple controls make the CapetMaster easy to operate and maneuver. Convenient handle location assists operator with lifting up stairs, onto carts and more.